Dennis Dimick never intended to be a journalist. Growing up on a farm in Oregon’s Willamette Valley, much of his youth was devoted to agricultural pursuits. But his future took a significant turn when, as a student journalist, he first witnessed an image materialize on a developing print in a photographic darkroom. That eventually led to a series of staff photographer and photo editor positions at several different newspapers before receiving an unexpected call from the National Geographic Society. Over the next 35 years, Dimick rose to become executive editor for environment, one of the top posts in the society’s flagship magazine. Retired since 2015, Dimick spoke with SEJ Editorial Advisory Board member and SEJournal’s long-time photo editor Roger Archibald about his long career in photojournalism and what he’s working on for the future, including his current service on SEJ’s board of directors. SEJournal: How did you get started as a journalist and photographer? Dennis Dimick: My parents were both fisheries biologists. When we were kids, we spent many weekends and summer trips in the Oregon Cascades camping, fishing and hunting. Those early Cascade experiences remain fond memories. Then when I was about 12, I got my first camera as a Christmas gift, using it to document the progress of a 4-H potato project for an exhibit at the county fair. I shot a series of images showing the expanse of the field and then pasted them together into a panorama once the prints returned from the drug store. It was an early example of using photography to document my environment. a life combining these two dimensions. In the mid-1960s, our farm was cut in half by an interstate beltway around Portland, Oregon. I witnessed up close and lived firsthand the price of progress. While the road allowed many to get from place to place more easily and to expand suburbia, I saw how human progress ravages nature. Our creek was destroyed, our woods were cut down, our rural peace and quiet was replaced by the roar of trucks and cars. 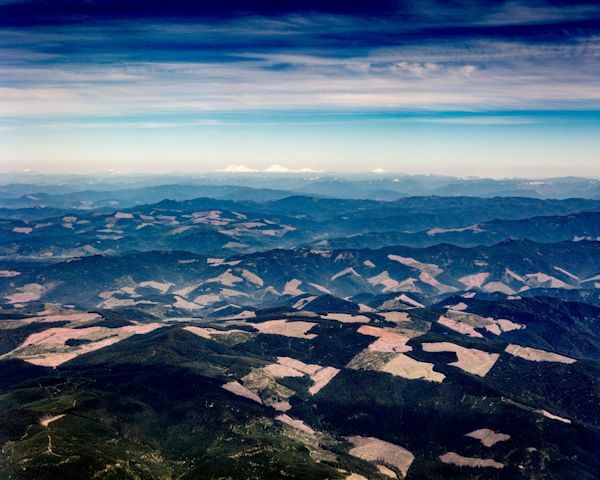 That invasion of our farm combined with the clear-cut logging of nearby forests in the Cascade mountain foothills where I had hiked and camped as a youth all combined to sensitize, even radicalize me, to the profound impacts human progress has on the Earth. So, my early photography experience combined with the personal connection to environmental impact of human progress set the stage for a life combining these two dimensions. SEJournal: When did you pick up the camera in earnest? Dimick: My second year of college at Oregon State University. I started working for the student paper, The Daily Barometer, as well as taking journalism classes. By that time, I was spending all my free time in the student darkroom on campus. I had been captured by the magic of watching prints come up in the developer. One of my roommates at Oregon State, whom I’d met during high school through Future Farmers of America, was Chris Johns, who later became editor of National Geographic. At the time, we were both planning to teach high school agriculture, but he took an interest in my cameras. And that was the catalyst that led him to get involved in photography and journalism. So I guess I’m the one that led him down the primrose path. We both got there (the Geographic), but we did so by separate pathways. All this while I was majoring in agriculture — I had been planning to become a high school vocational agriculture teacher and had been very active in 4-H Clubs and Future Farmers of America in high school. I eventually changed my major to general agriculture, which I combined with all the journalism classes I could while at Oregon State. Then I was offered a graduate scholarship to the University of Wisconsin-Madison, where in late 1974 I received a masters degree in agricultural journalism. There, as part of my duties, I wrote press releases about scientific research in the College of Agricultural and Life Sciences, and originated and produced a statewide daily farm radio program in Madison. My masters project was designing a class in photography for the agriculture journalism department. So you can see from early on, my experience and training were an ongoing combination of words and pictures: writing, photography and environmental issues. 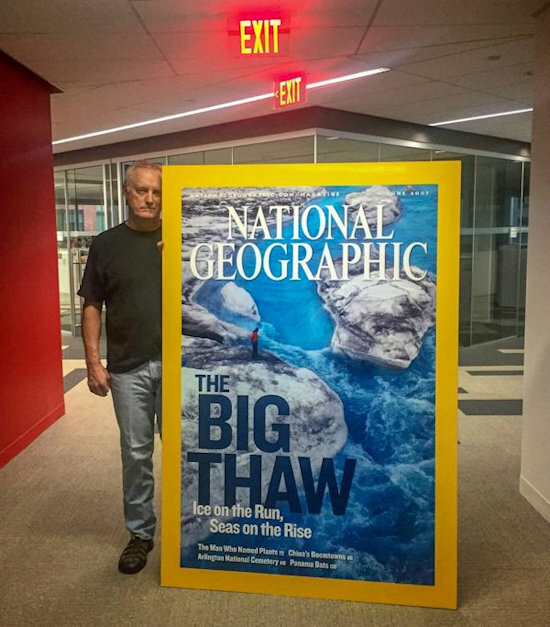 SEJournal: Tell us about your route to becoming an executive editor at National Geographic. Dimick: My first full-time job was as a newspaper sports editor at the McMinnville, Oregon News-Register in 1975. I also occasionally wrote a column on farm issues. Later I would become primarily a photographer, first for a year at the Pendleton East Oregonian, and then two years at the Walla Walla Union Bulletin in Washington state. As photographers, we played a big role in setting the agenda of the day. I was much more activist than someone who takes assignments from the news desk and produces pictures on deadline. I came up with original story ideas, originated my own assignments, wrote the stories, headlines and captions and even designed the pages. When I was at Walla Walla, I was fortunate to work with Ethan Hoffman, a photojournalism masters graduate from the University of Missouri School of Journalism. It was as if I had enrolled in my own personal graduate program in photojournalism, and it shaped my life and career. We originated big projects for the paper. One was a series I did on the role of wheat in Pacific Northwest agriculture. Another he did on migrant farm labor won a Robert F. Kennedy award for coverage of the disadvantaged. I have had the good fortune since to be able to return the favor of Hoffman’s influence as a faculty member for 21 years now at the Missouri Photo Workshop, which teaches narrative documentary photojournalism, the idea of storytelling with a camera. Then in the late 1970s I put down my cameras professionally for the rest of my career. I’m not sure it was a career goal, it was just what I was doing. If you’re going to become an advocate for photography in the newsroom, it’s kind of hard for you to be out taking pictures too. I left Walla Walla in 1978 when there was an opening for a picture editor at the Courier-Journal in Louisville, Kentucky. It was a great haven for top-notch photography and coverage of environmental issues. It had already received Pulitzer Prizes for coverage of school busing for racial equality and reporting on the effects from strip mining of coal. And so I took that job. But I never stopped taking pictures, and have continued photography as an avocation ever since. Then in April of 1980, I received a phone call from an editor in the books group at the National Geographic Society. He said they had an opening for a picture editor, and would I please send in my résumé. Up until that call, I’d had no previous involvement with the Geographic. stories to be told with a camera. SEJournal: During the over 30 years you spent at National Geographic, how did you shape the stories that you worked on, and how did the stories shape you, especially in relation to your environmental awareness during that period? Dimick: I spent a decade picture-editing a dozen books, and editing articles for National Geographic Traveler before joining National Geographic magazine in 1990. I worked longer on one book project than I did attending undergraduate college, the 1989 encyclopedia “Exploring Your World, The Adventure of Geography.” It had exactly 1,001 pictures over 600 pages. I wrote the 130-page outline for it and edited all the images, mostly from the Society’s film archives (this was long before digital imaging). I spent afternoons for several months in the NGS picture library looking at drawers of Kodachrome and Ektachrome slides from the previous 50 years, selecting pictures of soil conservation, weather, climate, energy, agriculture, cities and population to include in the book. That work informed my later magazine projects. Once I was on the magazine staff, I quickly gravitated towards environmental issues, volunteering to edit projects like the Colorado River, Ogallala Aquifer, disappearing wetlands, wildlife refuges, national forests and nonpoint source water pollution. I began proposing my own stories and that defined the rest of my career there. Bigger multi-part projects followed on climate change, energy, freshwater, population in the Anthropocene epoch and the future of food security. A couple of important 2014 projects for me were on the loss of snowpacks in a warming and drying Western United States, and on coal as an energy source in a climate-changed world. In my last couple of years there I wrote several online pieces on the same subjects. SEJournal: Since retiring from National Geographic, can you share any insights about how the organization was affected by its collaboration with 21st Century Fox in 2015, and the latest proposal, still under regulatory review, for much of 21st Century Fox, including National Geographic, to become a part of Disney? Dimick: Fox already was the primary partner in the Society’s television channel. This new partnership was designed to help insure a long and healthy future for the magazine by combining all the platforms — print, television, internet, books, travel — in a common mission and purpose. Whatever happens, I hope that the magazine continues pursuing its singular reporting on the major environmental issues and challenges facing humanity and the planet, as it has for more than a decade, by producing agenda-setting reports on climate change, energy, freshwater, population and food security. It’s in an enviable position with science-based reporting to engage a global audience seeking to understand these evolving global issues, their context and potential impact on the fate of the planet and humanity. SEJournal: In your post-National Geographic career, how did you come to develop the Eyes On Earth project, and what are your goals for it? Dimick: Jim Richardson is a longtime freelance photographer with whom I worked for 25 years on a variety of stories, most of them on food and agriculture. We've both been thinking about what we can do next, and believe that documenting an enduring visual record of global environmental change in this time of the Anthropocene era is now important. We just want to bring attention to environmental issues using narrative documentary photography. And that's really all it is. In large measure, it's an attempt to revitalize the disciplines that were realized by the Farm Security Administration photographers in the 1930s and EPA’s Project Documerica in the 1970s. We want to provide knowledge for college students who are in photography, photojournalism, journalism, visual communications and environmental studies programs that this is worth pursuing, that these issues will provide you with a sense of purpose about the value of your work over the course of your career. So we’re reaching out to universities that have these journalism and environmental studies programs. We can come in for a week and provide an essential kind of instruction that most universities don't even have the faculties to support. SEJournal: What sort of response have you had so far? Dimick: We're already overwhelmed with people wanting us to come see them. If I could spend ten weeks a year focused on this, that would be great. But at a certain point, we could get overrun by demands. We're just two guys and a website right now. Jim and I put it together with his pictures and my pictures. I mean, it's essentially our baby. And of course there are other people who can be articulate advocates for this. But at the same time, we're not seeing this as something we're going to grow into some big thing. My problem is time. It's the greatest premium for me right now. I have other things I want to do. I'm sitting here trying to sleeve negatives from 1975 to help make sense of the 40 years of film that built up in my basement when I kept shooting, while I was also everybody else's picture editor. For me, though, the Eyes on Earth project becomes a really potent legacy tool. It's an extension of what I've already been doing for 21 years on the faculty of the Missouri Photo Workshop. and change hearts and minds. SEJournal: You recently joined the SEJ board of directors. What do you hope to accomplish serving in that position, especially regarding what role photography and other forms of imagery, and their practitioners, might play in the organization? 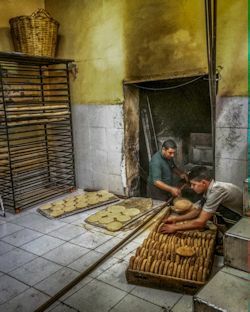 Dimick: My real interest is in raising the profile of photography and visual communication in journalism, making it something that's not a supporting actor, but is the lead actor in storytelling of environmental issues — the bread and butter of what I did for 25 years at National Geographic. If SEJ wants to support a greater role for photography within its range of interests, it would be beneficial to start recognizing photography as part of excellent journalism. Awards contests are one approach, but it's one thing to have an award, it's another thing to create a climate that allows for the creation of the work in the first place. If you have a scholarship, if you have a grant, if you have some instruction — maybe it's more sessions at the annual conference or other venues — then what you're doing is helping grow the garden that then eventually will produce a harvest. The contest really only ends up becoming the last thing. When I look back at what National Geographic got awards for, like the SEJ award for explanatory journalism in 2008, it wasn't just the pictures. It was text, it was photographs and it was maps, a much more integrated look. Traditionally, journalistic photography has primarily served to confirm to readers that whatever was written actually does exist. But photography and visuals offer so much more as primary narrative tools to inform, grab and change hearts and minds, much more than just tools of confirmation. An example of this shift: The current climate editor of the New York Times, Hannah Fairfield, is a visuals person, a graphics and information design specialist. This speaks to the central role that visual communication now plays in environmental journalism. And becoming expert at leveraging the role of photography, data visualization and graphic communication presents a tremendous opportunity for environmental journalists to imaginatively move to new and emerging forms of storytelling that can expand reach and influence beyond words.